Have yourself a Merry "Antler" Christmas. Send your loved ones an Antler Christmas Photo Card. 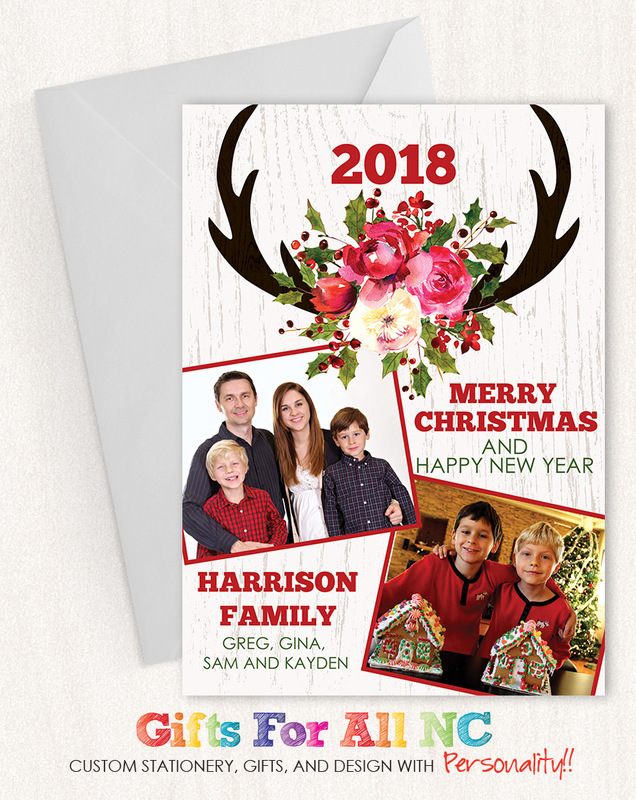 With the accent of whitewash wood background, flowers and antlers, Christmas cheer is a mailbox away.